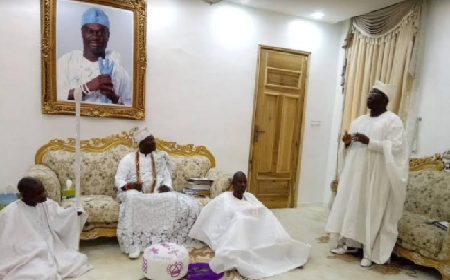 Congratulating the Aare designate, Ooni Ogunwusi applauded his choice and prayed that God empower him to carry out the work assigned to him for the Yoruba race stressing that there is no doubt his choice is as a result of his antecedent as a fearless fighter for the emancipation of Yoruba interests by peaceful means. The African foremost monarch added that partisan politics has destroyed so many things, saying Aare Ona Kakanfo is a warrior who has a big role to play in the emancipation and unity of his people, hence the importance attached to the title . According to the Arole Oduduwa, the title is not a social chieftaincy title, but one with robust traditional background and expectations.